As our theme comes with WPBakery Page Builder we find it usefull to create a custom post type where you can build your own static HTML blocks and place it anywhere through the site using shortcode or widget. 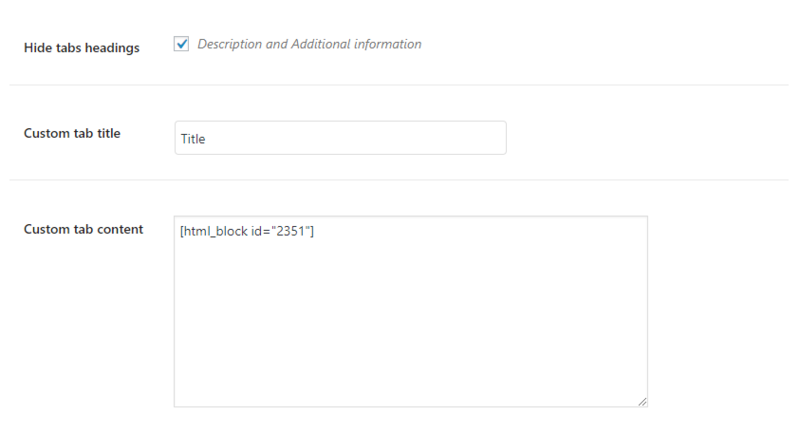 Find this functionality in admin panel -> HTML Blocks. 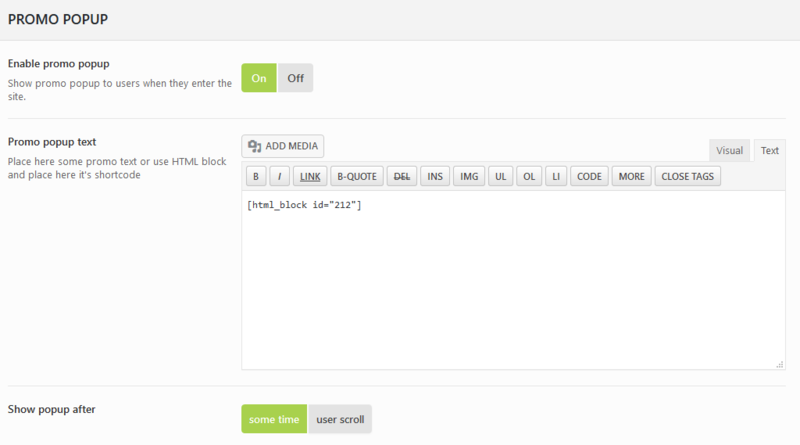 After adding some blocks you will see a shortcode for this block, place it at any other page, widget, footer etc. This option allows adding elements not covered by Header Builder chart, for example, Popup, Icons, Countdown Timer. HTML before footer - option to show brands carousel or nice blocks leading to the terms of delivery, payment, support, and others. Retail Demo - Free Shipment, Support, Payment, and Delivery show how it can look like. Main Demo - Brand Carousel. Depending on the layout configured in the Theme Settings - > Footer, there may be one or a few columns with different HTML blocks showing Newsletter forms, Contact information, Google Map, Bestsellers, and other content. 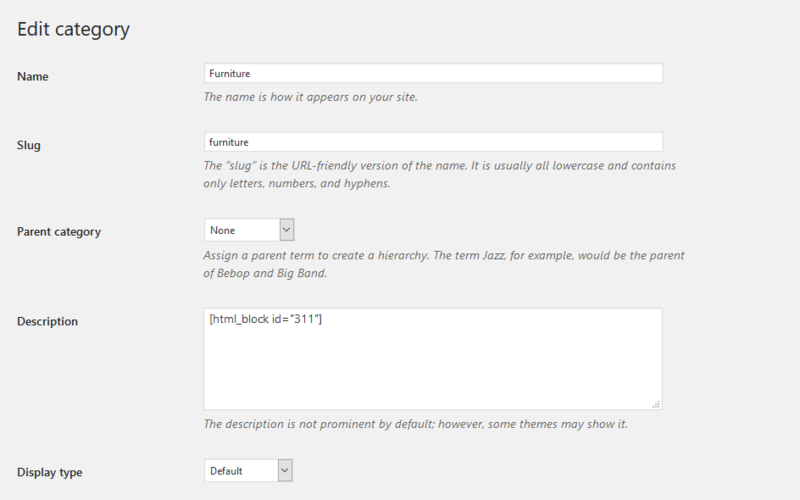 HTML blocks are added in Appearance -> Widgets by means of WoodMart HTML bock. 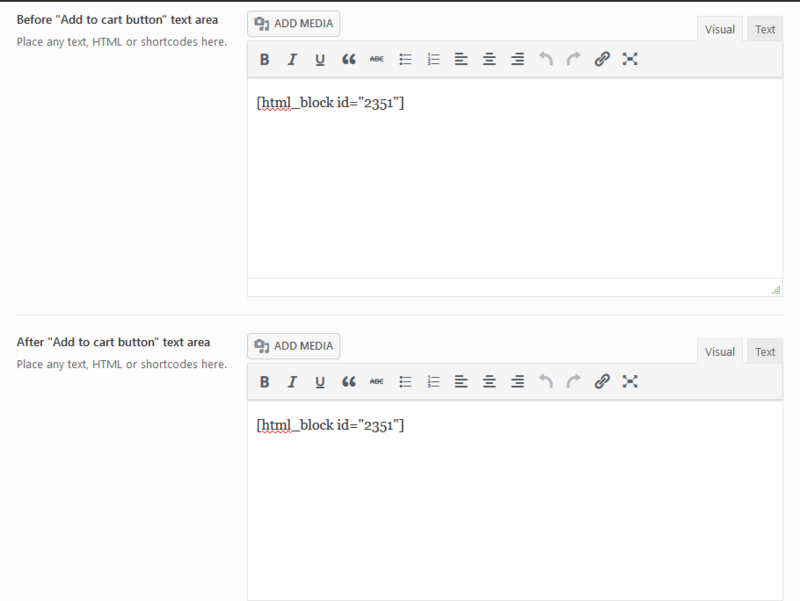 HTML block can be added to any sidebar as well. 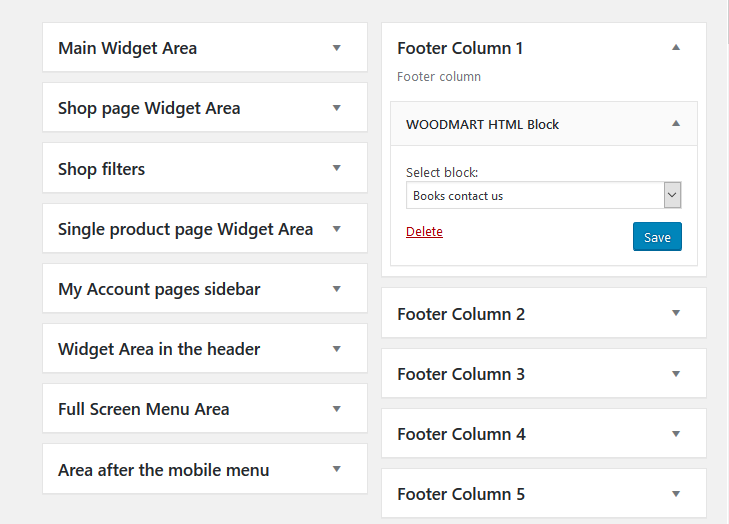 HTML blocks provide the opportunity to supply different Footer layout for mobile and desktop by means of WP Bakery columns responsive settings. There may be two templates in two different columns which are configured to be visible on different devices. This option allows adding some additional elements: links, buttons or other content on the empty cart page. The promo popup may contain any content such as Hot or Sales product information, Subscription or Contact form and other content as per business need. The option is the best for all kinds of notifications, icons, buttons, popup, countdown. Before "Add to cart button" & After "Add to cart button"
Theme Settings - > Product page - > Before "Add to cart button" & After "Add to cart button" These fields are useful to place additional information applied for all the products in the best place of the product page. This option allows adding Buttons, Pop-up or other content. This tab can have any title and content which will be shown globally on all the products. Each product page has the option to add a custom tab individually for the product. This tab will appear in the line with Description, Reviews, Additional information. This tab main contains special conditions or any other product specifications. A mega menu expands the default WordPress drop-down menu allowing to show a sales product, images, nice menu items. 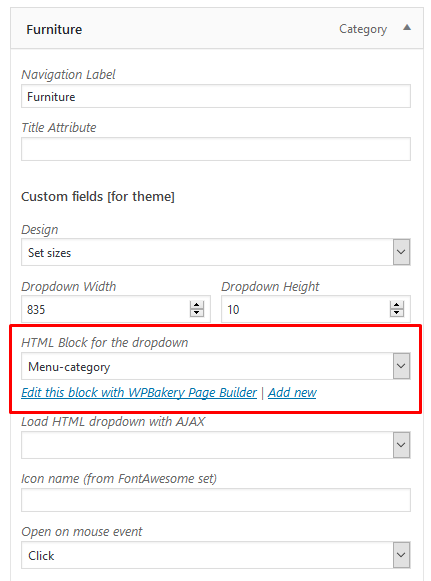 Mega menu block can be set in Appearance - > Menu -> Select Menu -> Enter menu item - > Set the HTML block from the dropdown list.